There is a big and sad breaking news leaked by Geo TV News Anchor Mansoor Ali Khan on Twitter that Famous Pakistani Tennis Star Aisam Ul Haq Qureshi has divorced his wife Faha Akmal with whom he married in December 2011 just 7 months ago in Lahore. According to reports Aisam Ul Haq has sent divorce papers to his wife Faha. The reason for divorce is that both failed to create understanding in their relationship and decided to Separate. 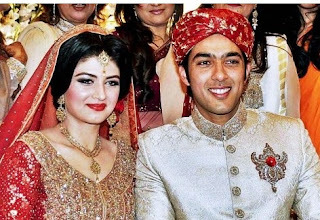 Aisam Ul Haq and Faha where married in December last year and Pakistani media given lot of coverage to this wedding.